With 2GB free space, desktop apps, mobile apps and a referall scheme for earning storage space (up to 16GB) you’d have to be mad not to take advantage of DropBox. 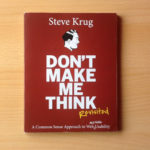 Without a doubt this useful tool has saved time and increased workflow. It makes working with clients and associates easier, whether we’re swapping photos, artwork, documents, video or audio. You can add permissions to designated folders to give users in your buddy list the chance to collaborate on those folders. Data is added or subtracted data as a project progresses. For some folders, it is possible to publish a folder live online with public access but with write permission revoked. This way, users can only read/download the folder or file but not have write access. 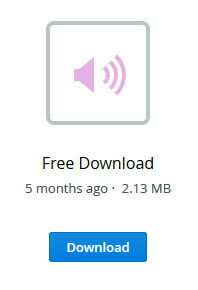 This is useful if you want to offer something for download. I’ve seen dozens of websites offering eBooks, pictures, PDFs and sounds so they don’t have their own website server bandwidth sucked up by traffic spikes. If you get creative with how you use DropBox, you can definitely reap the benefits. A large file downloaded a lot can crash your own shared hosting website server, but the way I have hosted certain files for Small Biz Geek means DropBox does all the heavy lifting with the bandwidth. If you do want to hotlink image files, you can get the full raw DropBox by slightly altering the URL. Simply change the www part of the URL to dl. I recently bought an iPhone after years of tolerating bad cameras. 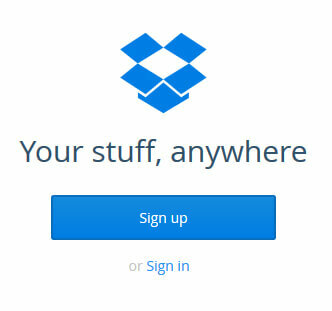 Discovering the easy DropBox integration with the iPhone revolutionised my approach to cloud storage in a matter of days. Instead of taking photos with my iPhone and syncing to my PC through USB and iTunes (unreliable because of a loose USB port), I can wirelessly sync my camera photos with my DropBox account via the iPhone app. Setting up the iPhone app is fairly quick. Just open up the app and follow the instructions to enter your DropBox account details. 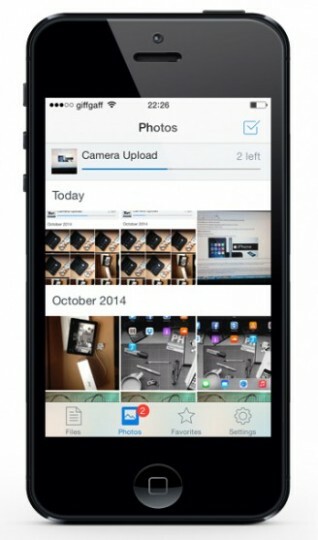 Every time you take a new photo with your iPhone, just go to the DropBox app, and you’ll see your photos get uploaded. Once the photos have been sent to your account over wi-fi, you just log in to your PC browser based DropBox account and download the images from the Camera Uploads folder. The same goes for the iPad too – just take photos, or record videos, then sync to DropBox without any USB cable kerfuffle. If you’ve got larger files or high quality photos it takes longer to upload over the DropBox airwaves. A good tip is to turn off your iPhone screen lock because this always interrupts the file transfer between your phone and DropBox. 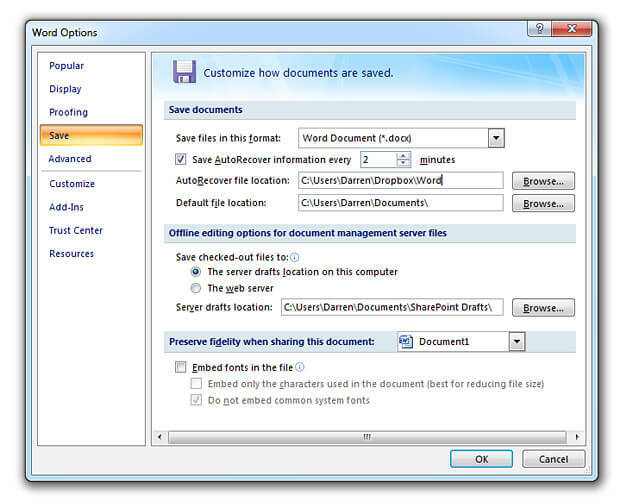 Another way you might use DropBox to back up your word processing documents during typing of important letters. What if you get a power cut, and everything shuts down? Did you save your document? Can you recover it easily if and when you get your computer up and running again? To create Microsoft Word auto save back ups using your free cloud storage, you first locate your DropBox folder, lessen the time interval of MS Word doc auto saves and then specify the DropBox folder on your PC as the place where your MS Word autosave files are backed up. If your computer crashes or you spill coffee on your keyboard, your file is being saved however often you like. 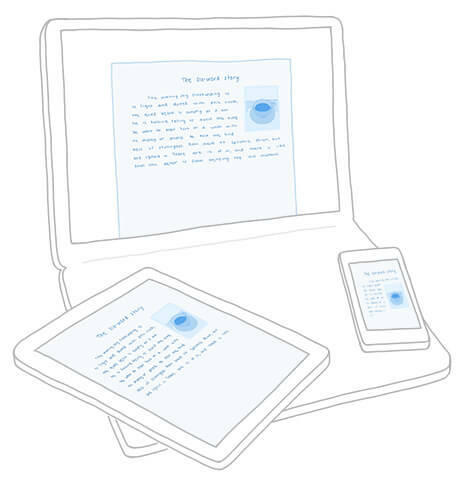 Your auto save files will be in the cloud and is retrievable from your account on the the DropBox website or by accessing the desktop app folder. If the constant DropBox desktop notifications about the successful sync of your backs up bugs you, turn off those messages and be irritated no more. 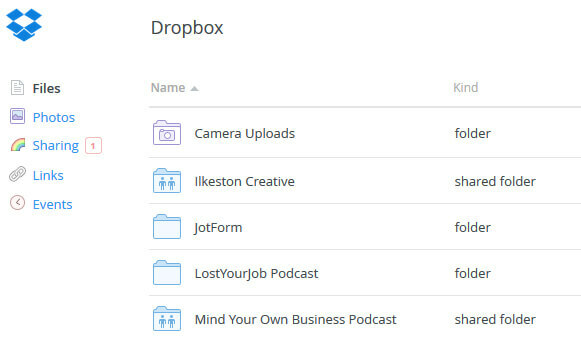 There are lots of other ways to use this fantastic service creatively, and I just discovered 20+ Advanced Dropbox Hacks which list ideas I’d never even thought of! I like the one about hosting a website on DropBox and I wonder if it would be possible to install WordPress? I’ve hosted external stylesheets this way before but never a whole site. DropBox has been a real life line for me as a small business. Some of us are operating on a budget, and having your wits about you in the absence of cash is crucial. There are dozens of ways to use DropBox to enhance your general workflow and solve problems, and if you have any tips to share, tell me in the comments! Remember you can get extra space if you refer other users using your unique sign up link which you can find in your dashboard. Every time you refer a new user you earn 500MB in storage space. It’s a maximum of 16GB but I suppose you could always open a new account under a different email address and start over. There is DropBox for business too, offering a greater storage capacity and increased privileges of 1GB per referral with up to 32 GB in referrals possible. I have not used the paid monthly business service. The free service is good enough for me at present. If you want to keep things simple, begin with the basic 2GB account using my referral link to throw some free space my way.